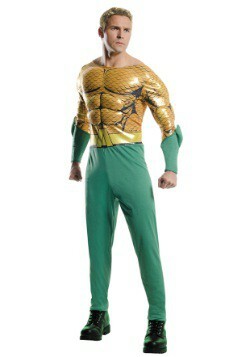 Aquaman has attitude. Then again, you would too if people were constantly trying to poke fun of your ability to communicate with fish. No one wants to talk about his super strength, which is about 150 times greater than any human strength. 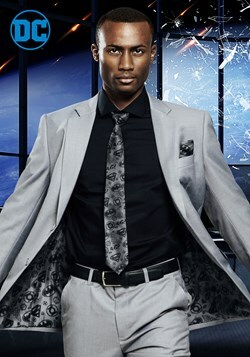 No one talks about his near invulnerability, which lets him take a hit from a gun without being hurt. They all just want to tease him about his fish telepathy, which is pretty darn cool too if people would actually just stop to think about it. 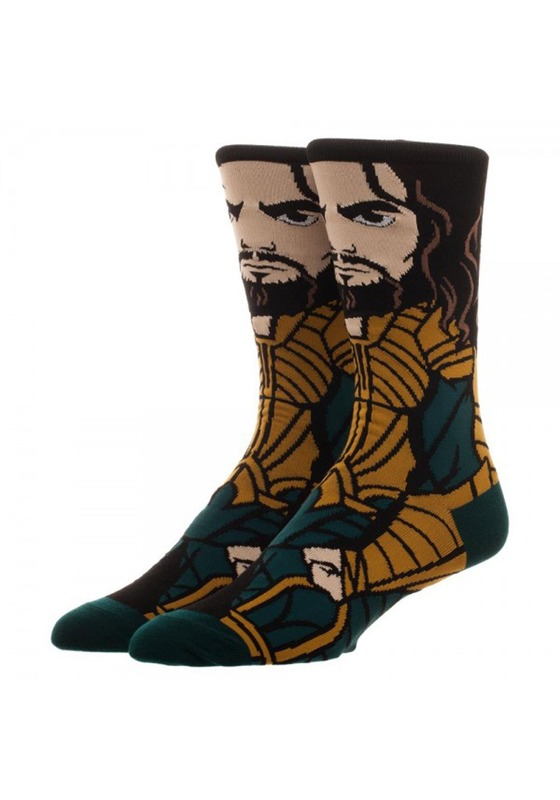 Well, just like the real superhero, these DC Comics Justice League Aquaman socks have some attitude! 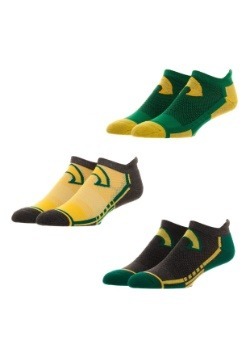 They’re made out of a comfy spandex and polyester blend to fit snugly on your feet. 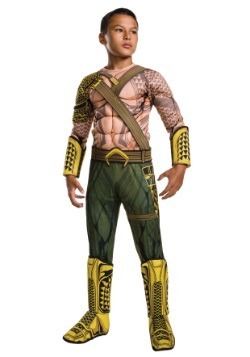 Aquaman stares smolderingly on the exterior of the socks, as if someone just tried to make fun of him for talking to fish. 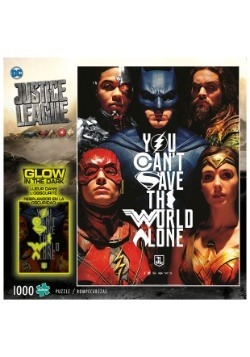 It even captures his manly beard from the Justice League movie! 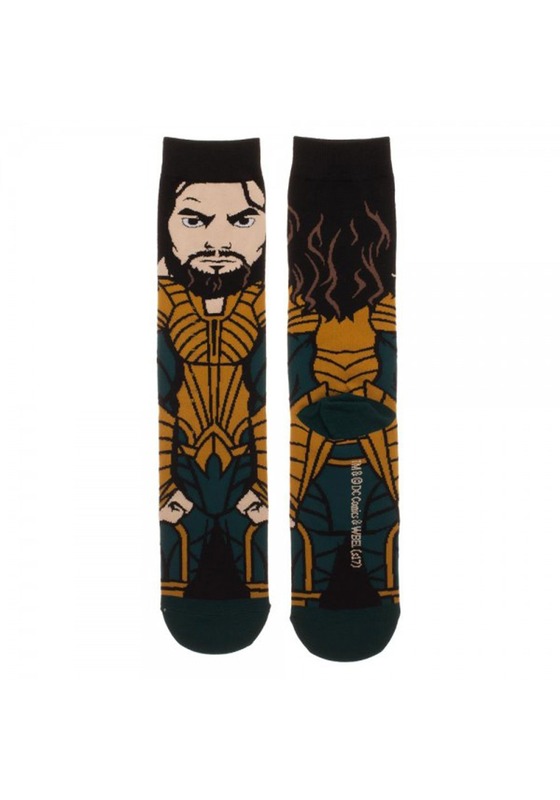 If you’re a fan of Aquaman, or your feet need a pair of socks with attitude, then these Aquaman socks may be exactly what the doctor ordered! They’re sure to give your feet some much needed “feetitude”. 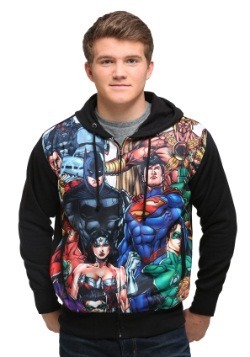 You can wear them while you watch the latest DC movie at home, or wear them on your next save-the-world excursion.